Great Events Don't Happen By Accident! Partner with Scenic City Multisport to make your event GREAT! With over 40 years of combined experience promoting and timing events, SCM has the formula and the services that will help you with the management, timing with Jaguar timing systems, and growth of your event so you can provide the premium participant experience. Registration through, its your race. "You guys are the best! I don't say that lightly either! By far the best product I have seen." "The course worked! 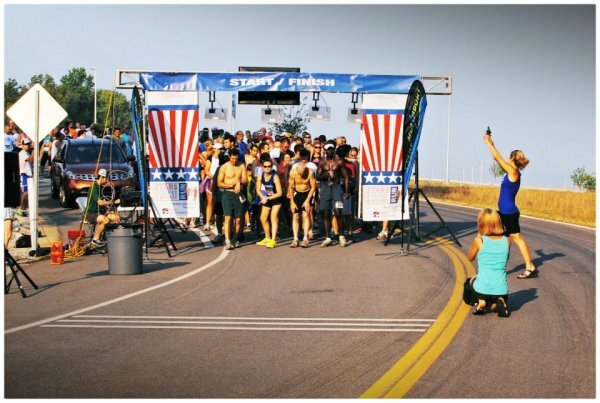 The start and finish line trusses looked professional and the timing worked flawlessly!" Chip start of "Stars, Stripes, and Wishes Run" at Enterprise South Nature Park, Chattanooga, Tennessee. How many events don't have results available immediately? Posted by the next evening? SCM prides itself with the latest in Timing Technology: Innovative Timing Systems multi-patented Jaguar Timing System. We provide REAL TIME finish line results, results by text, REAL TIME web results, and "Your Name In Lights" services for events. Official Timer for 7 Bridges Marathon, Light the Way 5K at Dollywood, Chattanooga Mud Run, Scenic City Mud Run, and Reindeer Run. Your local Jaguar Timing System provider.